Australian Research Council (2014-2016) investigating "Non-indigenous pathways to reconciliation in Australia" International experience confirms that reconciliation is a fraught and challenging endeavour. Many consider the formal reconciliation process in Australia to have been a failure, yet the need for a more effective engagement between Indigenous and other Australians remains pressing, particularly in light of a forthcoming referendum. 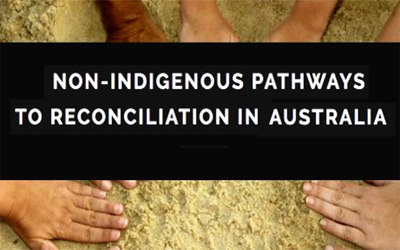 This project drew on international evidence and new empirical data to examine the Australian experience of reconciliation, asking how the process of reconciliation in Australia can connect to the attitudes of non-Indigenous people in ways that may prompt a deeper engagement with Indigenous needs and aspirations. This project used original focus group and other data to explore non-Indigenous engagement with reconciliation in Australia. It considered ways to transform the relationships between Indigenous and non-Indigenous people ahead of a possible referendum on Indigenous constitutional recognition.